We know you've been perspiring through those clothes of yours. What better time to take advantage of this exclusive offer on dry cleaning! 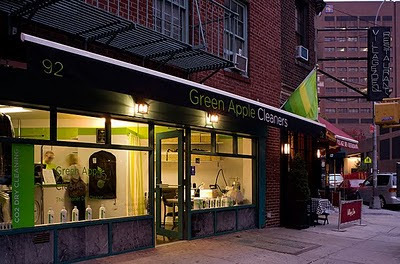 Green Apple Cleaners is New York's only dry cleaner exclusively using EPA approved green cleaning technologies. All summer long, receive 20% off your first order when you mention NYCDAILYDEALS. Call 1-800-ILUVCO2 or visit one of their New York City locations at 92 Greenwich Ave in Manhattan or 78 7th Ave in Brooklyn! This is a sponsored posting from Green Apple Cleaners. For more deals, check out our Moving Season Monday Deals link at the top of the page.